Fine China deserves cutlery that does it justice. Our ranges are made from high-quality stainless steel — polished or brushed, combined with colorful plastic, with special silver plating or partial gold plating. This 60-piece Celeste flatware set includes everything you need for you next dinner party, family gathering, or celebration: dinner forks, salad forks, dinner knives, soup spoons, and teaspoons for a full complement of essential pieces. Made from high-quality 18/10 stainless steel that features subtle engraving for a chic touch. 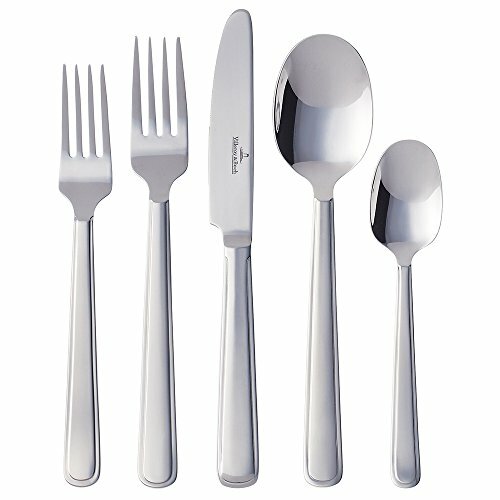 Our silverware is dishwasher safe, giving you more time to enjoy your time with family and friends.